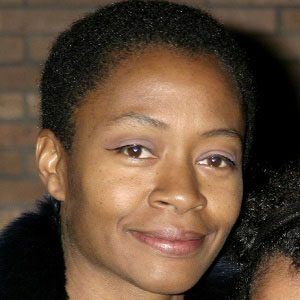 Famous for her black paper silhouettes, this prominent collage artist produced a work titled The Means to an End: A Shadow Drama in Five Acts (1995) and mounted Emancipating the Past: Kara Walker's Tales of Slavery and Power (2014) and numerous other exhibitions. After graduating from the Atlanta College of Art and the Rhode Island School of Design, she began her rise to artistic prominence by producing a mural titled Gone, An Historical Romance of a Civil War as It Occurred Between the Dusky Thighs of One Young Negress and Her Heart. She accepted professorships at both Columbia University and Rutgers University. The child of artist and teacher Larry Walker, she spent her youth in California and Georgia. Before ending in divorce, her marriage to German-born teacher Klaus Burgel produced a daughter. Pop artist Andy Warhol is one of her major influences.